The official music video for the song "Call My Name" from Swedish melodic heavyweights IN FLAMES, can be seen below. The track is taken from the band's new album, "I, The Mask", which is being released today (Friday, March 1) via Nuclear Blast (worldwide, excluding North America) and Eleven Seven Music (North America). The 12-track disc reunites IN FLAMES with Grammy-nominated producer Howard Benson (MY CHEMICAL ROMANCE, MOTÖRHEAD) who also produced 2016's "Battles". Additionally, the album was mixed by Grammy Award winner Chris Lord-Alge (CHEAP TRICK, LINKIN PARK) and mastered by Grammy-winning mastering engeneer Ted Jensen (PANTERA, EAGLES, GUNS N' ROSES). The album artwork was created by artist Blake Armstrong and depicts a unique interpretation of the band's mascot, The Jesterhead. Guitarist Björn Gelotte told Overdrive about "I, The Mask": "With this album, it was me and Anders [Fridén, vocals] working super-close together in a little studio that we set up in L.A., working on every detail together, including the vocal lines and melodies to the guitar riffs, arrangements and everything in between. That's something that we hadn't done before. In the very beginning, it was more like, someone would have a riff and then we would all get together and jam it out in rehearsals and then we would start to build ideas on top of that and the very last thing we would ever do after we had recorded everything, is around four days of vocals. That system worked for us back then because we didn't know anything else, but we missed out on so much, so many good ideas that could have come from lyrical context, or a lyric vocal melody, so this time we approached things differently and when I look back, it's undeniable how much we've learned along the way. Finally, we've found other ways of working. [Laughs]." Asked if this was the first time they had tried this writing method, Björn said: "We tried it a little with the last album, 'Battles'. We started working with Howard [Benson, producer], and he really helped us to open up with this approach to writing. We are very protective of what we do, so it was a little strange for us to begin with and we were very stuck in our ways thinking: 'The melodies should be this way, and the riffs should sound like this.' And it was the same with the vocals. Everything was really locked in tight and no room for change. The difference now is amazing. I get inspired by lyrics that Anders writes and we work off each other and this chemistry just happens. We've never done that in the past, and it's just so refreshing." Björn went on to say that the recording process was much less hectic this time around. "We would work for about five, six hours a day in the studio and then another five to six hours at home to continue writing during the whole recording process, and that was just amazing," he said. "That's exactly why we feel really comfortable and confident about this record. We just had such a great experience doing this album and the transition from 'Battles' to 'I, The Mask' is so natural for us. I have to say the whole process really opened our eyes to many more possibilities going forward. Even though no management or labels have asked us to write another record, we feel that we just want to go back and work with these guys again as it was just such a positive experience where we really learned so much along the way. Normally for me, recording is a very tedious process that is time-consuming and at times very boring. For me, recording is just a means of getting on tour because it's all about touring and playing live. So, for me to want to go back to the studio was a really strange feeling. 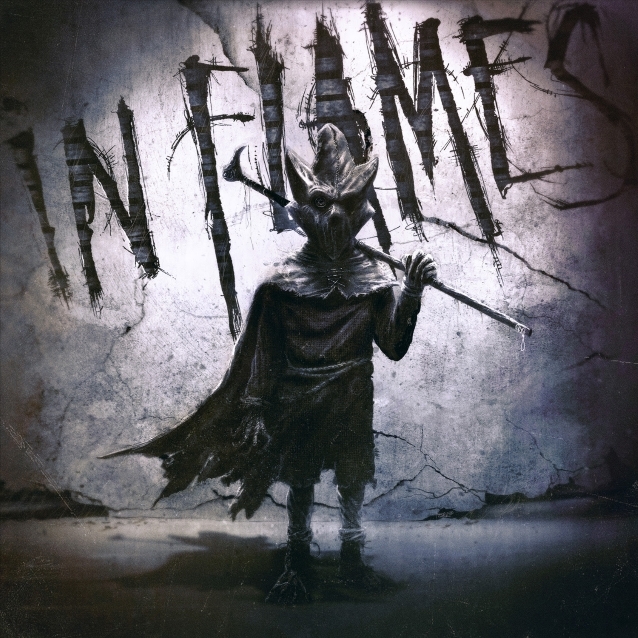 [Laughs]"
IN FLAMES recruited American drummer Tanner Wayne, best known for his work with UNDERMINDED, SCARY KIDS SCARING KIDS and CHIODOS, to sit behind the kit for the band for its 2018 and 2019 live appearances. Wayne stepped into IN FLAMES following the departure of Joe Rickard, who played on the band's 2016 studio album, "Battles". 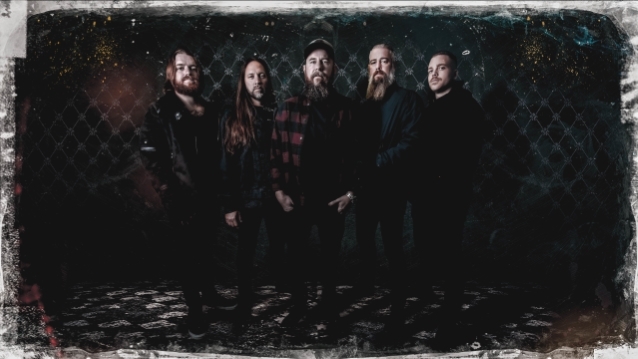 IN FLAMES' current lineup features American bassist Bryce Paul, who has been playing most of the shows with the group since longtime bassist Peter Iwers's November 2016 exit.